This season’s second roundtable discussion with our content contributors includes a recap of a traffic-filled day at COTA, teams’ expectations about day-night transitions, and a preview of NEO’s return to Interlagos. 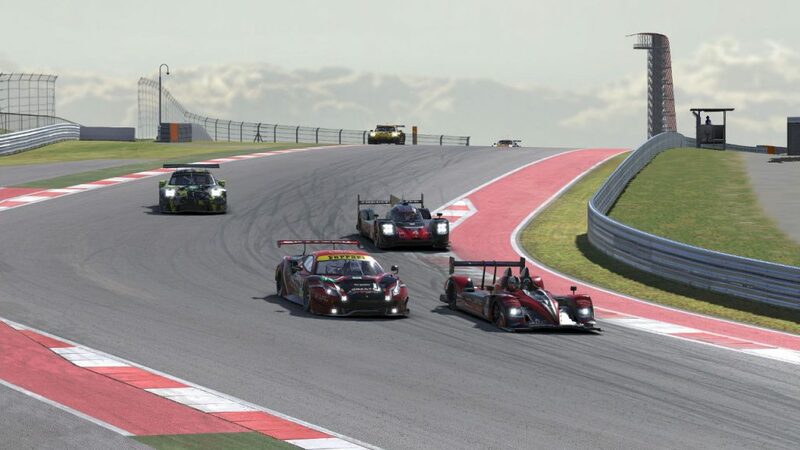 The COTA race started with a number of incidents and penalties for avoidable contact. What were the biggest problems your team noticed while negotiating traffic? Marcus Hamilton, Thrustmaster Mivano Racing #3: I guess we need to start expecting the unexpected! Firstly, it was terrible luck for our #4 car being taken out at the first corner. They had the pace to finish an easy P2. That aside, to our surprise, the traffic management through both classes was very straightforward for us. It was, of course, non-stop traffic, but for us it was all fairly predictable and easy to manage. 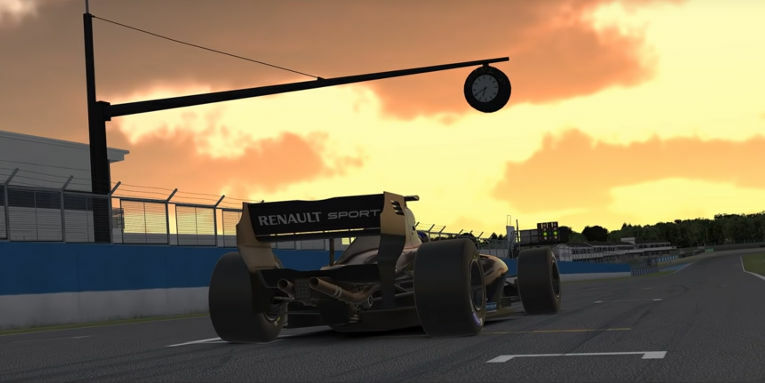 Joonas Vastamäki, Inertia Simracing Corsac #59: Apart from two different P1 machines locking up into turn 1 and ramming our sidepod, we didn’t have too many issues. There were parts of the track (like first part of esses, or from turn 13 all the way to turn 15) where you just couldn’t pass GT cars and had to be patient and wait. The triple right-hander was sometimes difficult since GT cars weren’t always about clear which line they were going to give you to overtake. I can imagine P1 cars had same issues with P2 cars, but just being clear with our intentions saved us from most of the trouble. Nick Rowland, Wyvern Racing #25: We thought it would be easier with traffic here than at Sebring, but if anything, it was harder. The combination of slow-speed corners with prototype cars having to over-slow behind a GT, but the GTs able to get back to the throttle quicker, caused a lot of headaches. The main issue was the nature of the corners: several high-speed turns that were wide-open for prototypes, a few hairpins, and some that were very slow-speed. All three in some way contributed to difficult situations. I think due to off-track concerns, people were a lot tighter with their lines also. Lennart Fricke, Schubert Motorsport #33: Traffic is one of the biggest challenges in the NES. With this many cars on track, the first hour of the race is always very tricky. Our team chose a different pit stop strategy to avoid going through the GTE field for as long as possible. It worked out pretty well, but in the end, luck wasn’t on our side. Dawid Nowakowski, TRITON Racing #91: A few drivers from the P1 and P2 classes did dangerous maneuvers, especially divebombs in long braking zones when they were too far behind. We should remember GT cars can’t change driving direction as quickly as prototypes. P1 and P2 drivers should leave a bigger margin, but they don’t often do it. COTA featured some tight corners for multiclass traffic. Fifty teams received a warning for exceeding track limits. How tough was it to stay under 40 off-tracks in the six-hour race? Nick Rowland, Wyvern Racing #25: Very. The open nature of the corners allows the car to push wide and really get out on the astroturf. Maximizing the track is what you want for lap time, but at COTA, it is easy to get an off-track. Passing and taking evasive action were just as difficult. Simone Maria Marcenò, Logitech G Altus Esport #83: This race was plenty tough in terms of incident amounts. Every incident could have been crucial to being penalized, and sometimes we had to take an incident going wide to avoid faster-class cars. Every one of our drivers did about 1,000 laps in practice to get used to the handling on old tires. Joonas Vastamäki, Inertia Simracing Corsac #59: We had some issues with this. I personally took way more off-tracks than I should have during my double stint, but luckily my teammates were able to keep it cleaner to avoid penalties. During the later stages, we really had to watch out for off-tracks and take it easy. Overall, a tight off-track limit makes it harder to push, but that favors consistent drivers, which isn’t necessary a bad thing. Lennart Fricke, Schubert Motorsport #33: It was actually quite okay to stay under 40 off-tracks. Many teams received a warning, but only a few got a penalty, so the off-track limit was well-chosen. Marcus Hamilton, Thrustmaster Mivano Racing #3: For us, it was a little easier than expected. We only had a handful of off-tracks in the first half of the race, and that meant we could relax somewhat for the remainder. Perhaps it’s not ideal that pretty much every team received a warning, but the limit seemed appropriate in the end. Teams frequently put two tires on the astroturf at turn 19. With the recent confirmation that day-night transitions should be in the December build, what about this new feature are you most excited about, and which part makes you the most nervous? Dawid Nowakowski, TRITON Racing #91: We’re looking forward to checking this out! We’ll see how it works, especially how iRacing will manage track temperature changes. Joonas Vastamäki, Inertia Simracing Corsac #59: I’m really waiting to see the sunset in VR. It’s going to add another element to the races and might even make for interesting changes in pace during a six-hour race. I’m mostly nervous about how we are going to be able to find a setup that works with a much wider operating window due to track temperatures possibly changing a lot over a race. Nick Rowland, Wyvern Racing #25: Everything about this is awesome. I have experienced this in other sims and recently in a 24-hour LAN event. It is awesome and makes the experience even more immersive. I think the nervous element is how tires will be affected as the track cools off. Could be quite the adventure! Lennart Fricke, Schubert Motorsport #33: We are very excited about day-night transitions because it will bring a lot more dynamics to the race. Our setups now have to work under bigger temperature ranges, which means more compromises. Marcus Hamilton, Thrustmaster Mivano Racing #3: I’m hugely excited about the introduction of day-night transitions. We’re looking forward to the challenge of more varied track conditions as the race progresses, but there is nothing concerning we feel we can’t overcome. 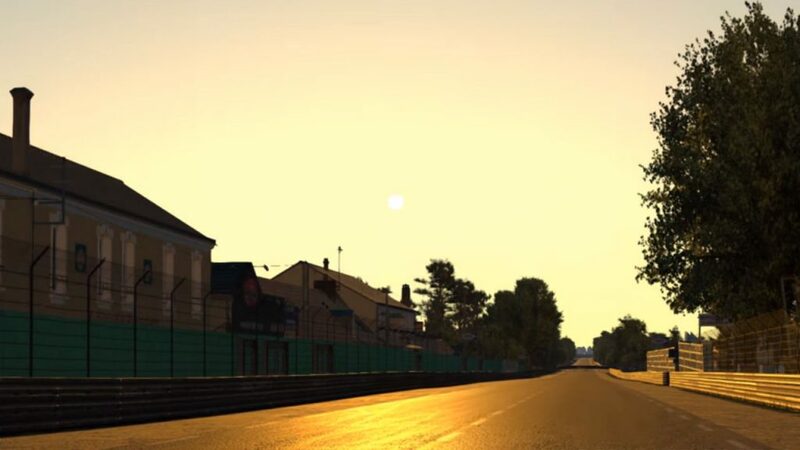 The NEO field will watch the sun rise over the Mulsanne in this season’s 24-hour finale at Le Mans. We now head to the shortest track on the schedule. How do you expect the multiclass racing will be at Interlagos? Joonas Vastamäki, Inertia Simracing Corsac #59: It’s going to be madness. P1s are going to do a lap in 80 seconds or so. With a 50+ car grid, everyone can imagine what it means for handling traffic. It is very unlikely that you will get a lap without traffic after the first 5 to 10 minutes, and managing traffic is going to be more important than ever. Also, trickier traffic means more surprising events and misfortune. Nick Rowland, Wyvern Racing #25: Chaos. I’m not sure if this was the best choice of track. I think it will be interesting but very chaotic. As a P1 team, we are not going to have very many clean or clear laps at all. Marcus Hamilton, Thrustmaster Mivano Racing #3: At COTA, the traffic was extremely intense, and you were lucky to go more than a few corners without having to navigate slower traffic. Interlagos is going to be even more intense — I believe, on average, you’re never going to be more than 100 meters away from another car, so this could be the most difficult race of the season as far as traffic goes. Lennart Fricke, Schubert Motorsport #33: I expect even more chaos compared to COTA. The track is very narrow and short as well. Getting through the first hour of the race will be the key to a good result. 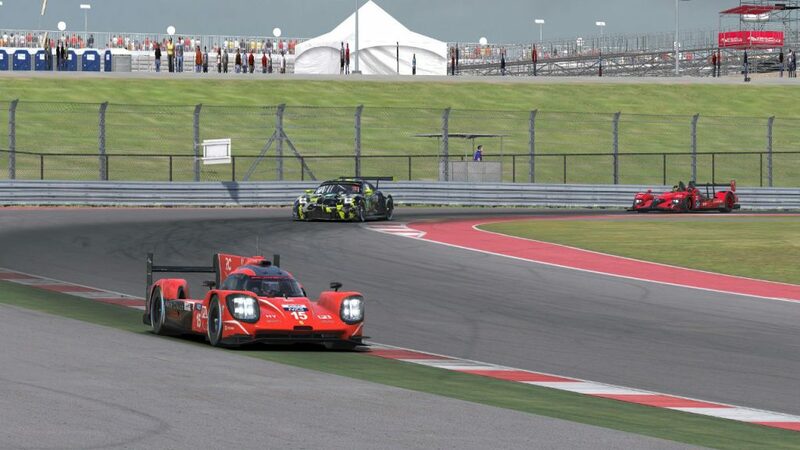 David Soranzo, SimatoK eSport #8: We experienced multiclass at Interlagos in an iRacing Endurance Le Mans Series race and it was just insane. Many cars everywhere on a narrow track — gymkhana time! Dawid Nowakowski, TRITON Racing #91: No doubt, it will be the most difficult track in terms of traffic. We hope it won’t be Destruction Derby! Registrations are open for NGT!